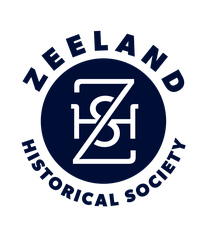 Area students and their families can enjoy games, a walking tour of the city, and the new exhibit at the Dekker Huis/Zeeland Historical Museum during spring break. Museum staff will hold free activities at the museum April 7 to 9 and 11. Museum curator Suzy Frederick said the spring break event will allow children to participate in hands-on activities at the museum, which is usually a "no-touch zone" for young ones. She said the goal of the activities is to inspire children to become interested in Zeeland's past. Museum docent Dorothy Voss said the activities will provide students a different atmosphere to enjoy the museum. She added the events also will give children something to do during spring break at a time when a lot of families aren't traveling for school break. From 10 a.m. to noon, April 7, children ages 3 though 6 can attend the "Fun and Games" event where they can play old board games and learn about toys from the museum's collection. Games include checkers, Monopoly, jacks, and pick-up sticks. On April 8, older elementary school and middle school students as well as adults can participate in the "Now and Then" walking tour of downtown Zeeland. Participants will walk east on Main Avenue from the museum and, using photographs from the museum's archives, identify buildings and compare them to how they appear today. The tour will be held from 10 a.m. to noon. On April 9 and 11, families are being invited to view the new "In the Good Old Summertime" exhibit, which features summer activities from years past, as well as the museum's other exhibits. The permanent exhibits include the Pioneer Room, with items from settlers who came from the Netherlands, log cabin home, Huizenga's Grocery and Market store, first Zeeland bank, and a Victorian parlor. The museum will be open from 10 a.m. to 6 p.m., April 9, and 10 a.m. to 2 p.m., April 11. No registration is required for the activities. The museum's summer hours are 10 a.m. to 6 p.m. Thursday and 10 a.m. to 2 p.m. Saturday. Admission to the museum, located at 37 E. Main Ave., is free with donations appreciated. For more information on the spring break activities, call 772-4764.